He generally has very good insignia. 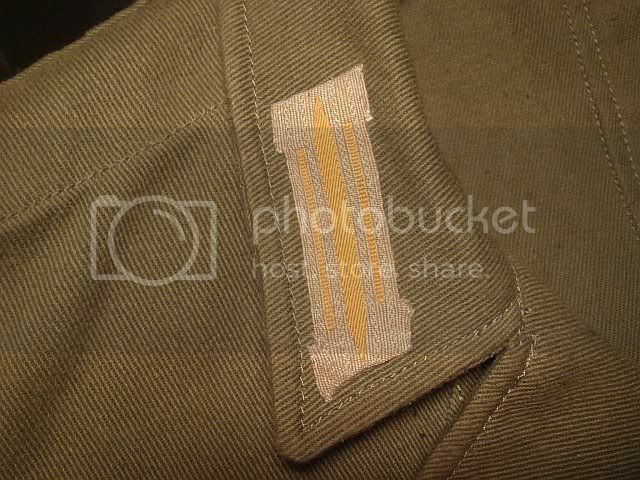 Looking at the site, I see the DAK litzen and it is the same as the one on my LB tropical tunic. Does Lomax make DAK collar litzen as well?? Also, what about DAK cap insignia?? Lomax just sell, they dont make the insignia themselves. Ok, then who has a decent Tropical collar litzen and cap insignia out there?? I don't know who sells the best, but I know who sells large sizes. I am 6' 1" and wear like a 50 or 52 in a tunic. Anyone heard of Replicators.com ? If so, what are you opinion of his uniforms and stuff? The guy's name is Sanjay and lives in India. He, or his company, will make your uniform to whatever specs/size you order it in. So I ordered me a DAK Tunic and cap from him. I am looking foward to getting it. Sanjay is hit or miss. Some people get really nice stuff and others never get their orders at all. Do some searches on WW2 Reenactors board or Axis History Forum for "Replicaters" and you will get all sorts of mixed results. Thanks. I did not have much choice due to the size issue. Lost Battalions is the only other place who offers large sizes such as mine, but he said that after the new management takes over they might have some more large sizes in like April. I wish some of the better known places offered large sizes. Before someone makes a crack like why don't I lose weight, I am working on it. I have lost 30lbs so far and still going. Ant-Z (pirschen) makes large sizes too and his quality is decent. I wear 50 tunic myself I got from him. I never heard of that one, can you give me the website address? 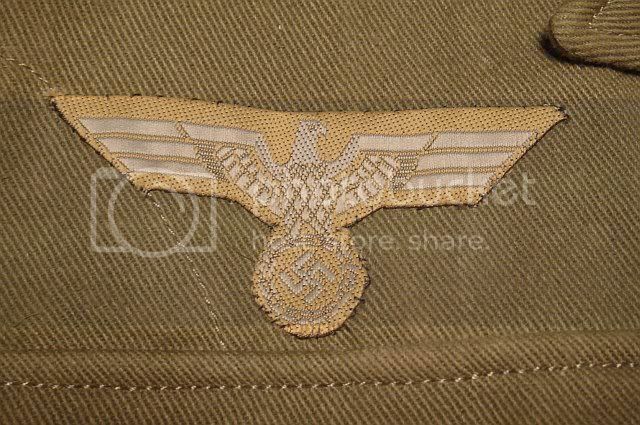 On the recommendation above of purchasing from ANTZ Militaria I decided to browse their website. I ordered a DAK olive green tunic and matching breeches at the end of August and they finally arrived today. I would like to heartily recommend ANTZ for the quality and sizing. This is my third DAK uniform and it is the best quality (and best fitting) that I have to date. Furthermore, Chen is a top class proprietor to deal with and is helpful in every way. Ten out of ten from me! GD43 now offers insignia - I've placed an order with Frank based on some great photos and will report here when it arrives. 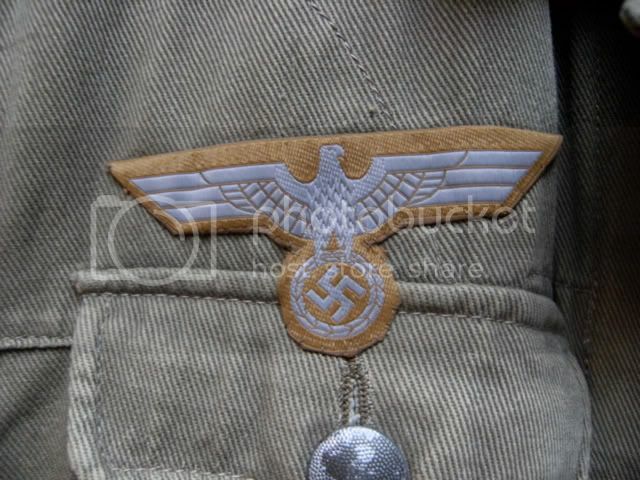 Incidentally, all my insignia, the olive green epaulettes with cavalry yellow waffenfarbe and M41 cap with cavalry yellow soutache all came from Richard Underwood. All the items are superb.